Press Release: The Heart of the Continent’s National Geographic geo-tourism project has received the prestigious Innovation Award out of many nominations from across the province at the 22nd Annual Conference of the Ontario Association of Community Futures Development Corporations. Over 250 guests and delegates from Community Futures Development Corporations (CFDCs) recently met at Casino Rama, Orillia for the event. This collaborative effort was brought forth to stimulate and promote tourism and the ‘outdoor experience’ in northern Ontario and northern Minnesota, using the strength and respectability of the National Geographic brand. The basis of the project was universal to develop a common identity for the region beyond provincial or national borders, defining the area instead by its geography, its history and its people. This innovative initiative was nominated for the award by the Atikokan Economic Development Corporation. Efforts on the Canadian side of the project have been championed by the Atikokan EDC, Tourism Thunder Bay, Rainy River Futures CFDC, the Ministry of Natural Resources, and representatives from the First Nations. Funding and collaboration from the province, federal government and local municipalities on both sides of the border has been key to its success. Initial negotiations for a potential project began as early as October 2010 at an International Community Congress in Thunder Bay & Grand Portage. The design team was formed in the summer of 2012 and began the process of delegating tasks and moving the project forward. A midpoint stakeholder conference which expanded the input and began to solicit site nominations occurred in 2013, with a second smaller offering in 2014 to vet and approve every nomination and establish firm guidelines moving forward. The site www.traveltheheart.org was released publicly in early 2015, four months ahead of schedule. 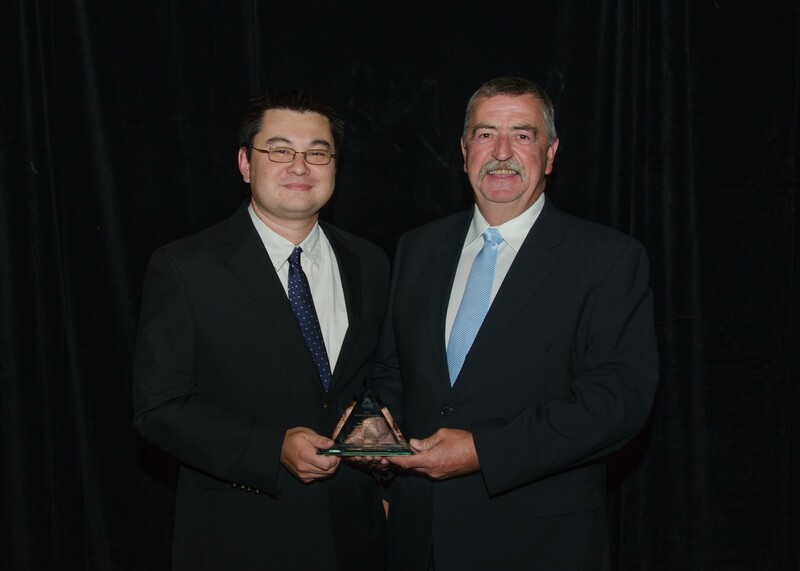 AEDC’s Gord Knowles and Garry McKinnon receiving the OACFDC 2015 Award of Excellence for the Heart of the Continent partnership during the OACFDC Annual Conference in Orillia, Ontario in September 2015.